Shahzar Rizvi won the first medal for India at the ongoing ISSF World Cup after scoring 239.8 points in the 10m air pistol event which landed him just 0.2 points short of Russian shooter Artem Chernousov, who clinched the gold. The Bronze medal was won by Bulgaria’s Samuil Donkov, who scored 217.1. Both Mitharval and Rai couldn’t make it to the final. 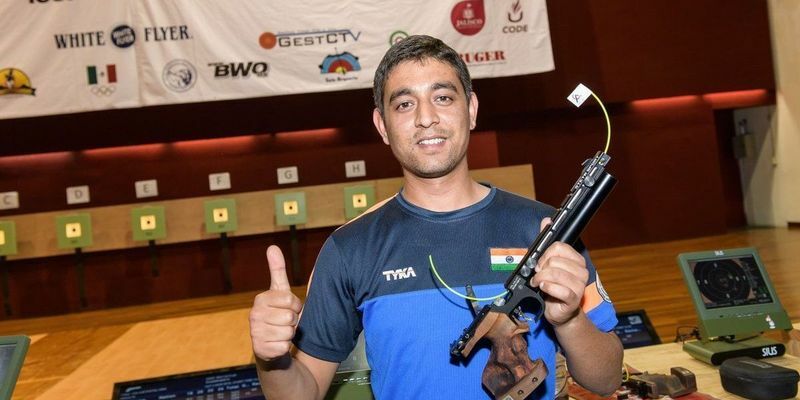 However, Rizvi kept the Indian hopes alive and qualified as the sixth best shooter with a score of 582. It was disappointing for the Mitharval and Rai, who finished at 11th and 38th position respectively. Mitharval scored 581, while Rai scored could only score 575.